Woollyhugs > Latest.. > Auction > Spring Auction 2019 > Spring Auction. Number 235. Pearl TwoTog! Spring Auction. Number 235. Pearl TwoTog! She’s a work of art and one of the “Tiny Community of Malvern” and we love her! 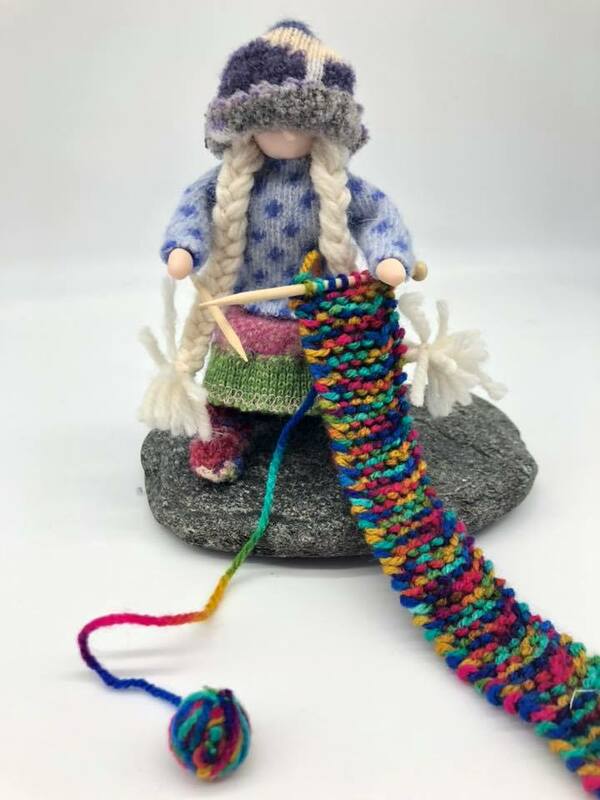 Very much not a toy or for children, Pearl is looking for a happy home where she can knit in peace. She is approx 13cm. item name : Spring Auction. Number 235. Pearl TwoTog!